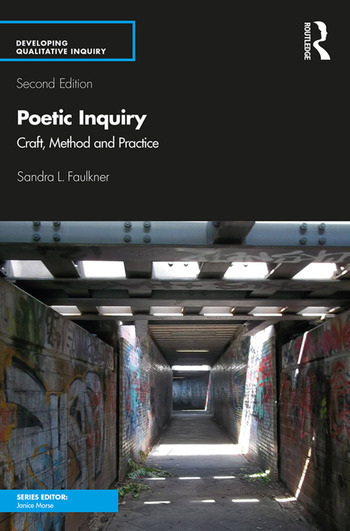 Poetic Inquiry: Craft, Method and Practice examines the use of poetry as a form of qualitative research, representation, and method used by researchers, practitioners, and students from across the social sciences and humanities. It serves as a practical manual for using poetry in qualitative research using varied examples of Poetic Inquiry. It provides how-to-exercises for developing and using poetry as a qualitative research method. The book begins by mapping out what doing and critiquing Poetic Inquiry entails via a discussion of the power of poetry, poets’ and researchers’ goals for the use of poetry, and the kinds of projects that are best suited for Poetic Inquiry. It also provides descriptions of the process and craft of creating Poetic Inquiry, and suggestions for how to evaluate and engage with Poetic Inquiry. The book further contends with questions of method, process, and craft from poets’ and researchers’ perspectives. It shows the implications for the aesthetic and epistemic concerns in poetry, and furthers transdisciplinary dialogues between the humanities and social sciences. Faulkner shows the importance of considering the form and function of Poetic Inquiry in qualitative research through discussions of poetry as research method, poetry as qualitative analysis and representation, and Poetic Inquiry as a powerful research tool. Sandra L. Faulkner is Professor of Communication at Bowling Green State University. Her interests include qualitative methodology, poetic inquiry, and the relationships among culture, identities, and sexualities in close relationships. She received the 2014 Knower Outstanding Article Award from the National Communication Association and the 2016 Norman K. Denzin Qualitative Research Award.